The Michael Jackson-starring The Wiz is probably the second best known rendition of the Land of Oz. 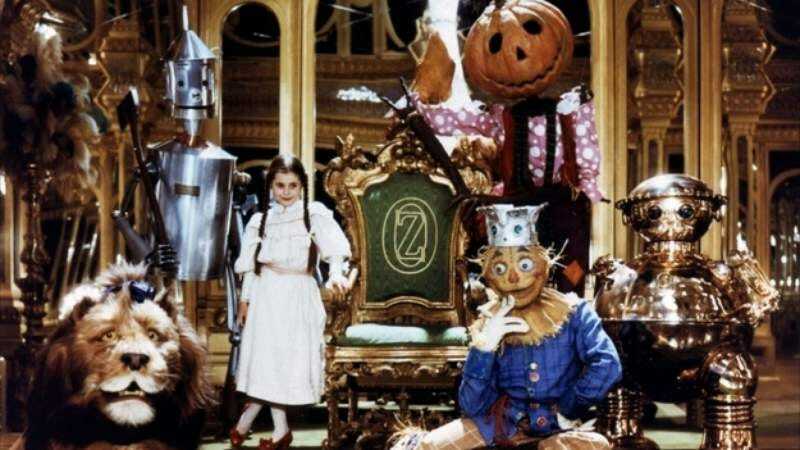 Return To Oz, the 1985 follow-up to Dorothy’s adventures, could’ve held that status. However, in the follow-up, the magic in The Wiz and in the 1939 original was replaced with awkward creepiness. Plus, the Tin-Man and the Cowardly Lion were only minor players. Films tend to become a bit glossed-over when you strip away two major things that made the source material a classic. People still do have love for Return To Oz, though. So 30 years later, we get rare behind-the-scenes pictures from the box office disappointment. In these photos, viewers see the Nome King before he became a monster, Tik-Tok and his fiberglass costume and the incomplete puppet body of Billina the talking chicken. It’s insightful and makes one of Walt Disney’s creepier efforts less creepy, although it still doesn’t really undo the Princess Mombi scene.